With Terminator Genisys going back to the roots of the franchise and changing everything from the ground up, there was a lot of fans who are viewing this new instalment with quite a bit of skepticism, especially with one plot twist seeing series hero John Connor reinvented as the bad guy. 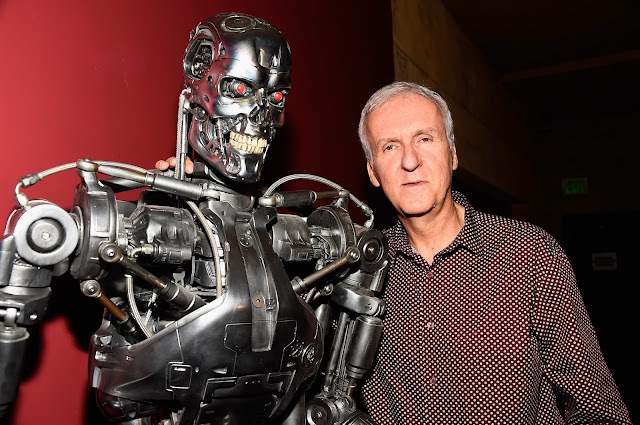 While many of us are bracing ourselves for its release (I may myself am 50/50 about the whole affair), on person who seems down with this new take on the classic franchise is James Cameron. While he has nothing to do with the new movie, he has being shown it and shares his thoughts on this new take on the iconic characters he created. While many will cry “damage control”, he does seem genuinely taken with the movie, going as far as calling it the real third movie in the series. And while you shouldn’t in no way let his opinion dictate yours, it is nice to see Terminator Genisys getting the Cameron seal of approval.